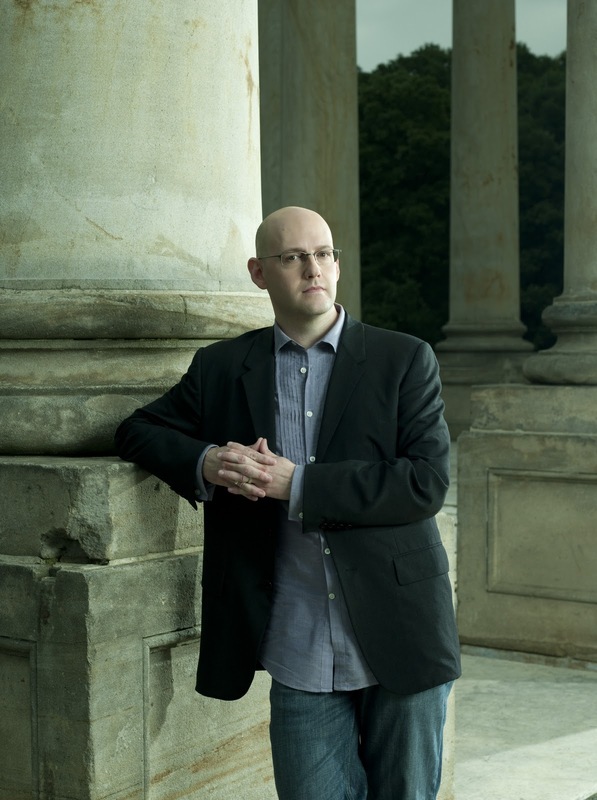 Brad Meltzer is a fascinating person. As a writer, he has written several novels, an amazing non fiction bestseller, Heroes For My Son and several fan-favorite comic book stories including a run on DC Comics’ Green Arrow and Identity Crisis. Brad is known for his immaculate research, vast imagination and social activism with his program, Ordinary People Change The World. 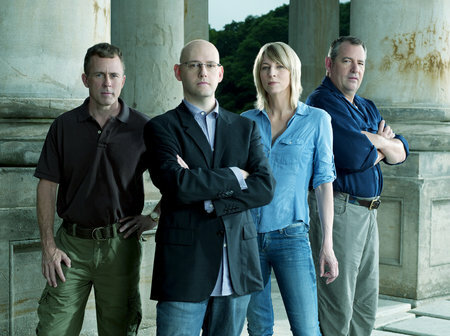 Tonight at 10 p.m., Brad Meltzer’s Decoded premieres on the History channel, a 10-part series where Brad and his team of experts, professor/journalist Buddy Levy, mechanical engineer Christine McKinley and trial lawyer Scott Rollie team up to tackle some of the country’s most provocative mysteries and unsolved conspiracies. Brad and I have corresponded via email over the years and he was gracious enough to take some time to talk to me about his latest project. What was the genesis of the series? I told them this story that in 1792 the first piece of the White House was placed down in this elaborate Freemason ceremony and within 24 hours the first piece of the White House supposedly went missing and everyone had been looking for it ever since. Harry Truman went looking for it. Barbara Bush supposedly went looking for it. And nobody knows where it is 200 years later to this day. I said we could do that. Let’s go find that. Let’s go find where the very first piece of the White House actually went. I told them we can do the Freemasons, we can go there, but we can do it in a way no one has ever seen before. That’s where we really started moving and that’s what the first episode is. Why do you think that the Freemasons have been a part of so many domestic conspiracies and mysteries? I think that they are there through those parts of history and they are the one guys that are still keeping their secrets. And any time anyone is keeping a secret, they become an instant suspect, fairly or unfairly. I remember when I first started researching the Freemasons they said to me, “we’re not a secret society, we’re a society with secrets” and my first thought is wow, anyone who said that to me, I want to know more about you. We didn’t get into the Freemason headquarters in Washington DC, as we do in the first episode because of the History Channel, we got in there because I’ve worked with them for years and I know who they are and we understand each other. They’ve been amazing; they’ve helped me with my novels and other things and they let us film there. Only two other people have filmed inside those headquarters and we were the third. I think they get a bad rap, because everyone burns them. Everyone burns them. At the end of the day, someone goes there and says that they saw something. So, why would they talk to you if you could only burn them? It was very interesting to pull apart this point in history and they gave us access to their documents, to their records, to their archivists and to their best historical people there and I think it shed brand new light on something that for the most part was seen as this unfinished piece of history. One of the things that I find fascinating with you is that you’ve spent time with two former Presidents, President George H.W. Bush and President Clinton. What did you learn from both of them that surprised you? President Clinton I had met because he had read some of the books and I had seen him at a signing. There’s nothing like when a President looks down at your name tag and says, “I like your books.” I was just a guy in line there. A couple of years later I got a fan letter from President Bush saying that he liked one of the books and would I sign it for him. And that’s just humbling. That’s not the letter that I usually get. The letter I usually get is telling me how awful I am. What he was nice enough to do was he invited me to spend nearly a week in Houston with him and the thing that I was most amazed by is just what happens when you leave office. One day you are the most powerful man in the world and the next day you have to stop at red lights like the rest of us. Imagine for one moment if you knew that in your own life you’d peaked. That everything you’ve done in your life, you’ll never surpass what you just did. Everything else is going to be downhill from here on in . I know it’s great to be President but man, that’s rough stuff for the rest of your life. I was fascinated with mentally how you deal with that. When you leave the White House do you know what one of the first things you do is? You plan your own funeral. You literally plan your own funeral because it’s going to be a state event and they don’t do it on the fly and they want it all planned out. So they say, “thanks. Give us the keys back to the White House. Now tell us how you want to die.” Those details, many of which I incorporated into The Book of Fate were just amazing to me. Can you talk a bit about the Red Cell program which you were involved? It was a couple of years ago and I got a phone call from the Department of Homeland Security, who said they wanted me to come in and brainstorm different ways terrorists could attack the United States and I did some work with that. I won’t say much about it because when the new novel comes out we should talk more about it, but it was one of the most amazing experiences in my life to go in and be able to do that. Listen, I wish we didn’t live in a world where comedians give us our news and fiction writers give us our facts, but that’s the reality we live in and I really take that responsibility seriously. I can’t promise I’m always going to find everything to be exactly right, but I can try. Did the brainstorming of this program find it’s way into the new novel? Yeah, you’ll see in The Inner Circle exactly how it found it’s way in. You can’t go through an experience like that and not stealing immediately for your own imagination. On the show, when your team was doing research, were there any unusual circumstances that indicated that people wanted some of these secrets to remain secret? There’s one episode and you’ll notice when you see the police red lights blaring that absolutely, they did not want us there. That’s what happens. It’s like Oliver Queen says, “you always make the right enemies.” I just really believe that. In life, sometimes what we do is we assume that there are enemies in some place and you realize those people aren’t enemies at all; It’s the person that told you they were bad that’s the enemy. We plan every episode not to come in with a point of view (and we can’t help of course, that we have a point of view). We have one guy who comes in and says, “I think the Freemasons are behind this, they’re out to kill us all!” And watch what happens when he slowly finds more and more. It’s interesting to see and sometimes you come in and say, “You know what, I trust this and I think this report really and some old family member of John Wilkes Booth comes out and says something and drops that bombshell and you go, “Wait. What do you mean? How can that be? I think the fun of it is not just to scare viewers, and we pride ourselves on not trying to just scare people, because that’s easy; but to trying to find answers for people. If you’re going to go conspiracy theory, the best one is still J.F.K. When your history teacher says that to you, it’s like taking the foundations of your brain. You’re taught believe what’s in the books. Believe what the teacher tells you. The government will never lie to you. Do you feel that some of the information that you uncovered with this series would require some changes in textbooks? Why do the show if all you’re going to do every week is find Al Capone’s vault? I think Geraldo Rivera proved there’s not much in there. Check out the Official Decoded Site HERE! Read more about Brad and his work at his official SITE. Win Brad Meltzer's THE PRESIDENT'S SHADOW Prize Pack!